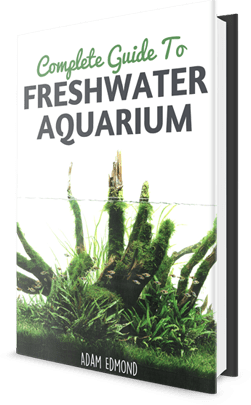 Recently there has been an upsurge in the number of aquarists choosing to keep shrimps over plants or fish in their aquariums. Shrimps belong to a group of animals known as crustaceans and there are various species of shrimps available in the hobby today. One amazing aquarium shrimp is the Whisker Shrimp which exhibits a rather transparent body. Shrimps come in varieties some inhabiting salty waters and other inhabiting fresh water bodies. The whisker shrimp on its part is a freshwater aquatic animal that is usually a little aggressive in behavior. It is also sometimes referred to as the Indian whisker shrimp. The animal looks almost similar to yet another shrimp known as the ghost shrimp that also has got a transparent body including the tails and torso. It is a freshwater shrimp that has a transparent body that you can clearly see through. It look almost similar to yet another shrimp called the ghost shrimp. Compared to the ghost shrimp it has a body that is slightly large with long feelers. The whisker shrimp does not the characteristic orange bands either on their front legs or at the base of their feelers like the ghost shrimp. The shrimp usually grows to a maximum of 2 inches overall body size. The Whisker Shrimp is one of the easiest aquarium animals to care for because it is undemanding and as long as you provide it with the basic conditions, it will survive. It likes to inhabit the bottom part of the water and will most probably feel safe at the base of your tank. It is a freshwater shrimp that needs to be housed in a freshwater tank for it to survive and thrive. Because it has an aggressive nature it is best to keep it alone to avoid the possibility of fights breaking out with other tank mates. It can be housed in a moderately planted tank and it is best to avoid planting the tank heavily. It has a tendency to hide in between plant in the tank therefore having too many plants will not help you have a good watch over it. Try not to keep with other kinds of shrimp like the ghost shrimp or small fish because it will kill them. However you can house it with certain freshwater snail species. It is best to choose those shrimp foods that hold their form in water and will not easily break apart so quickly. This is because if this occurs the water gets polluted. Perhaps the best kind of food that will do a great job feeding your shrimp are slices of cucumbers immersed in the aquarium. These usually stay in the water much longer and don’t really break to pollute the water and the shrimp can still eat the slices without much ado. Another important thing to note in your aquarium if the population of your shrimp is not big is not to provide too much food to them. They should just be able to survive on the biofilm that is present on the tank water. Leaving lots of uneaten food hanging in the tank water is a usually a recipe for bacteria to start developing in the tank. 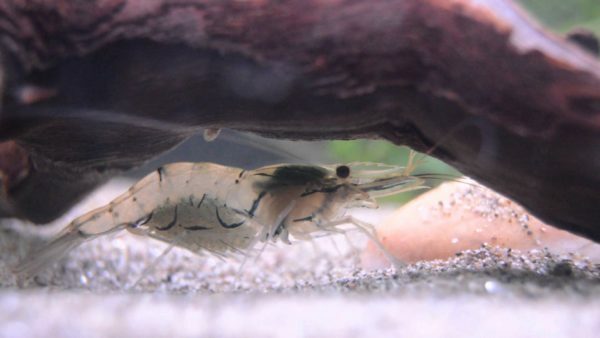 You better remove leftover food from the tank if you notice that your shrimp haven’t eaten them in an hour’s time. Breeding the Whisker Shrimp certainly can prove to be tough test for many first time hobbyist. There are certain parameters in the tank that need to be set to optimal conditions for your female shrimp to be able to spawn and the eggs to hatch into juvenile shrimp that you need. Set the tank water to temperature range of between 65 and 82 degrees Celsius. You will have to place the male and female shrimp in the same tank. The female shrimp is usually larger than the male. One single male can successfully mate with two females that are already carrying eggs on their swimmerets. The male should be allowed to fertilize the eggs and then the female will then be removed from the tank to another separate tank. This process should be done carefully as the female have a tendency to drop their eggs when they feel stressed. The fertilized eggs should take between 21-24 days for them to hatch into juvenile shrimp. The Whisker Shrimp has become a favorite amongst aquarists who prefer keeping shrimp for the stunning display it offers an aquarium. It features a transparent body with the female being slightly larger than the male one. It is a freshwater shrimp that needs to be housed in a tank that contains purely freshwater but mildly acidic. For your shrimp to survive better in captivity ensure that perform frequent water changes in the tank. Nearly all types of shrimp will not survive in poorly maintained aquarium waters. I have a whisker and ghost shrimp and they both are still alive but one could be male and one could be female so they could possibly mate I’m sure.